Designed for anyone up to 300 lbs. and 7′ tall. The Explorer Deluxe Classic is a foot longer than the Expedition Classic. It has our patented asymmetrical shape and structural ridge line to ensure exceptional comfort and a perfect set up every time. 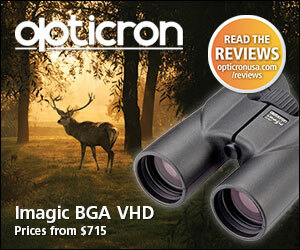 It also has the same high performance materials, proportions and protection as the smaller Expedition Classic. If you are really close to 6 feet tall and you want the luxury of extra space, this would be a good choice. Swap out the standard rainfly for the larger, heavier, polyester Asym Hex Rainfly, at no additional cost using the green Customize button. This past hiking season was a total bust for me. The wildfires in my home state bombarded the hiking areas that I frequent and covered the rest of them in a suffocating layer of smoke. It was widely broadcast that the air conditions were very unhealthy and it made the idea of breathing hard while hiking the hills an almost idiotic pursuit. 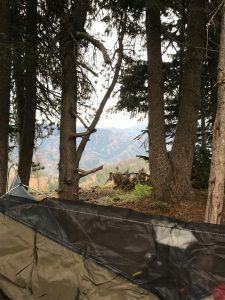 Nevertheless I had gear to test and though my backyard was a good place to get the first initial setup figured out it was hardly the place to get an honest assessment of a piece of gear. I was very excited with the initial setup and the very unique entry point of this hammock. Gone are the days of awkwardly trying to roll into a hammock. 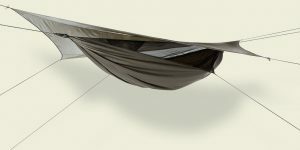 The HH Explorer Deluxe Classic offers an entry point at the end of the hammock that allows for standing entry by way of a flap. The design then uses your body weight to close the flap leaving you snug and comfortable within the safety of the hammock and bug net. You may also notice the string that also appears to be the ridgeline of the shelter or bug netting. This is a great idea from Hennessy Hammock as it provided the perfect pitch. 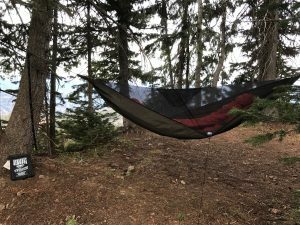 The purpose of this string is to make sure that every time you get the hammock tied off you are going to have the same pitch and the same level of comfort no matter the trees or terrain. I was finally able to get out on a hike during a break in the endless cloud of smoke that seemed to completely destroy most of my hiking season. A pair of back to back weekends during a very rare patch of clear air coincidently was also the time of a great meteor shower and the 2017 Eclipse. It was a great time to be in the mountains. I brought my children along and we hiked up to the tallest peak in our area for a great view of the sky and surrounding mountains. The Hennessy Hammock was the first thing I placed in my pack. My first trip was a simple overnighter. It was a 3 mile hike in and everything went without complications save for the fact that I left my camera/cell phone in my truck and was unable to photo document my trip. This was the first night in the wild with the HH Explorer Deluxe Classic and I have to say that I was pretty dang surprised to find it as comfortable as it was. My back did not ache, and that is a huge accomplishment for me as my body is starting to collect the debts of a wild and rowdy youth. The only thing that I noticed was that I was cold, surprisingly cold for peak summer temperatures. The next trip that I had planned was the following weekend and to the same great spot. This time I was not as lucky in regards to actually getting to sleep in the hammock. 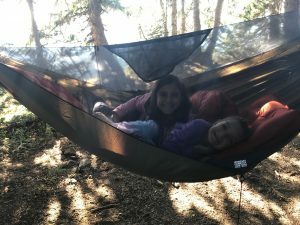 My daughters were so impressed with it the weekend before that they laid claim to the hammock before we even left town. Well, we are gear testing after all so a second opinion was a welcomed thought. The only change that I had made to the gear list for this trip was that I brought along a sleeping pad to offer insulation. What I found was that your standard rectangle sleeping pads are not optimal for a hammock and while it fit it was a bit cumbersome. My daughters were able to find a comfortable spot to sleep and I am happy to report that they made it through the night finding both sleep and the wonderful peace that come with knowing the creepy crawly’ s and or blood sucking vermin have no way to get to your skin thanks to the included bug net. What I found with this testing period of this hammock was that it is the full meal deal. It is comfortable, functional, and well built. However, this hammock is not without its drawbacks. It is pretty dang heavy for a single man shelter at 3lb 3 oz. Now I am sure some of you are reading this and thinking I’m crazy but I can tell you that the weight is not that of a minimalist backpacker. 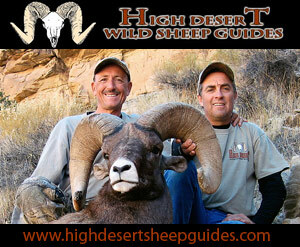 Luckily Hennessy Hammocks has a line of more ultralight setups that are of the same quality or better. 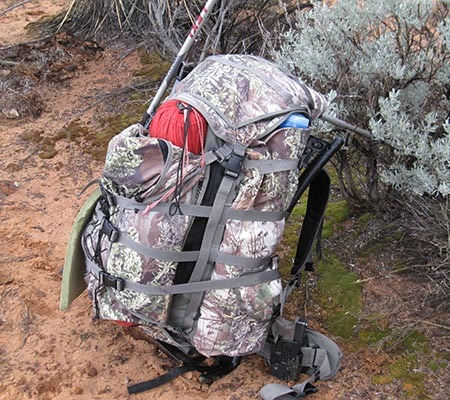 I feel the Explorer Deluxe Classic is a great option for short hiking trips or car/bike camping trips. The second issue it that the particular model I reviewed does not have a zipper so this means that you will be “stuck” in the hammock once you allow the flap to close. No, this does not mean you can’t get out but it does mean that an arm or leg is not going to be able to flop over the side. I can happily say that HH again does have options that do include the zipper and if that is a concern for you than you can purchase one of those models and put it out of your mind. When it comes to hammocks I think that the Hennessy Hammock is nearly the gold standard. Sure, you can find a wealth of nylon hammocks out there that are just fine for summer days in the backyard but that is not what we are trying to compare here. We are looking at a hammock sleeping system and when we talk about them in that regard we have to give credit where credit is due and Hennessy is certainly due some high marks! Fine job Tom you have really made a very solid product for the hammock lovers of the world! Well, as I said above this little guy could be a bit lighter. IT is hard to call that a fault though as I do not think that it is made to be so. Hennessy Hammocks have a wide variety of hammocks and I think that this little guy is staying right in its wheelhouse as it is not advertised as a UL hammock. I also think that I would like the zippered version of the same hammock. 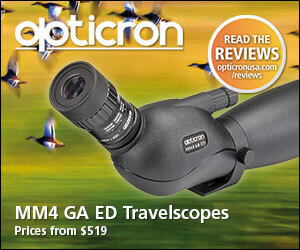 These are things I would like to see and they are all found on models such as the Explorer Ultralight Zip. So really I can’t complain about this hammock as it does what it was intended to do and the things I would like to see are already available on other models. I have come out and give this great hammock its due of 4.75 stars as it functions as advertised and appears to be something I am going to use for many years to come!